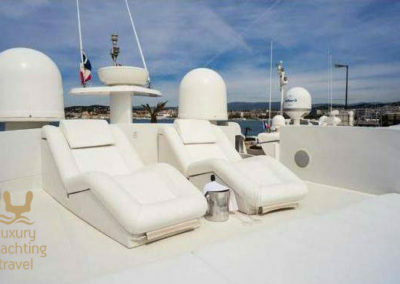 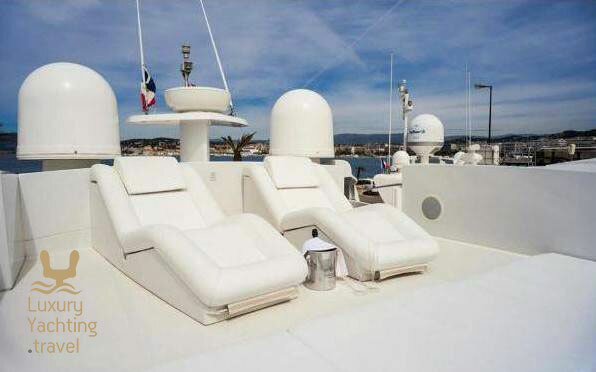 Shalimar II Pershing 90 is one of the best options to discover Ibiza and the Balearic Islands. 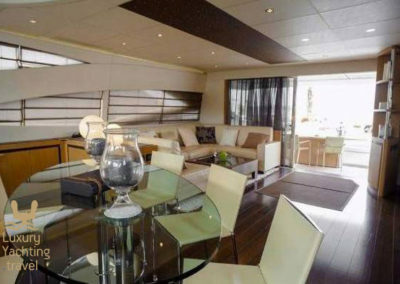 With home berth in Marina Ibiza, this superyacht of 27 meters of length is defined by her aggressivity, elegance and speed. 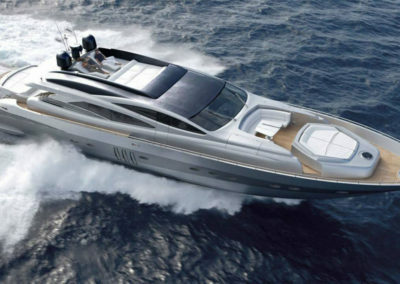 She has a maximum speed of 44 knots and an aerodynamic profile. 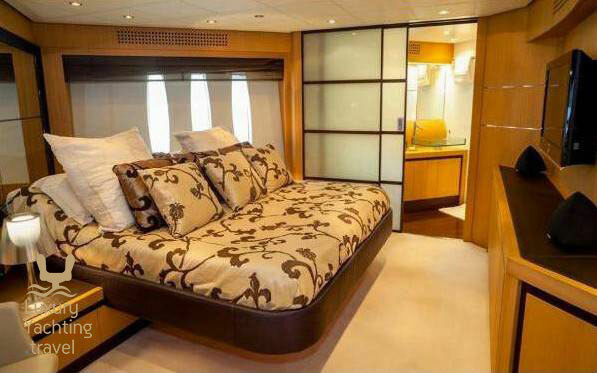 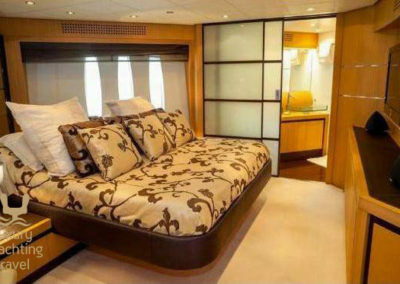 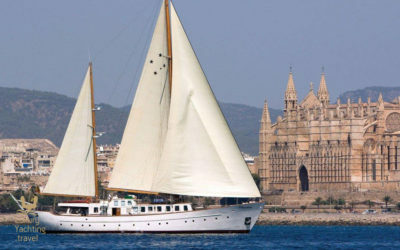 She lets accommodating 8 people in 4 cabins during the night and 12 for daily charter. 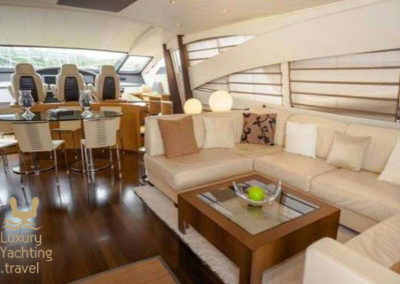 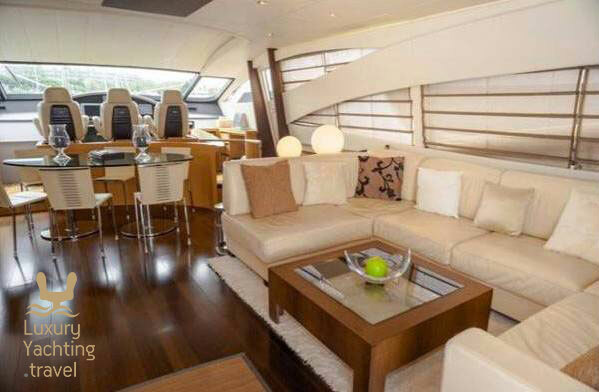 The cover has a dinning area, a wide flybridge, and some solariums. 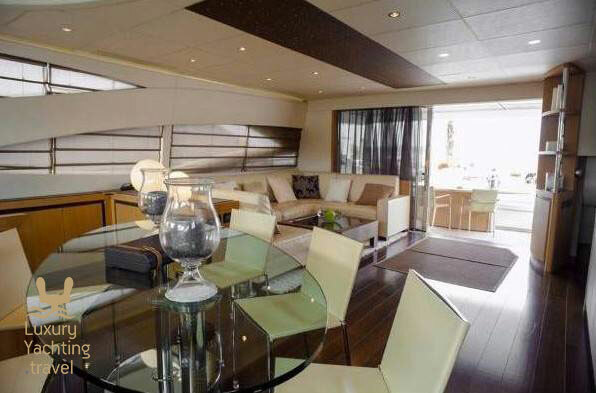 It’s the ideal space for relaxing, sunbathing and make social life with family and friends. 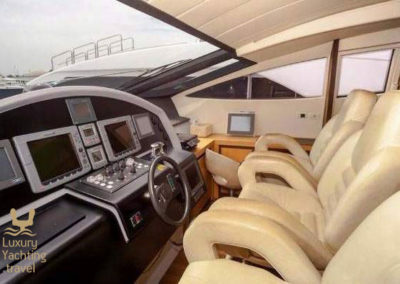 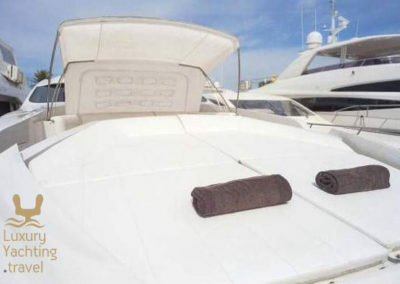 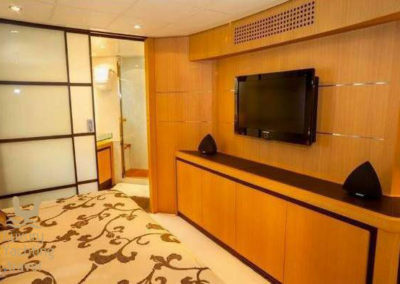 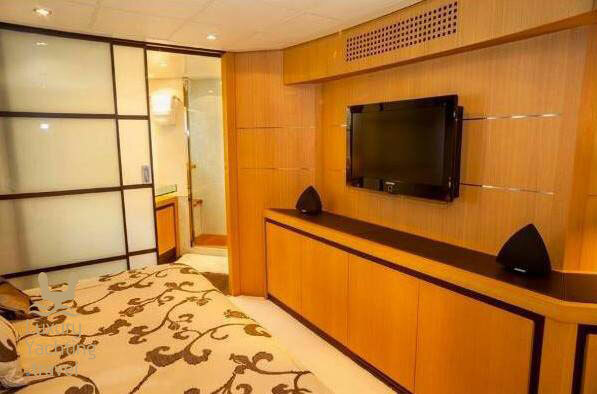 On board, you will enjoy of an exceptional service of captain, deckhand and chef and multiple toys. 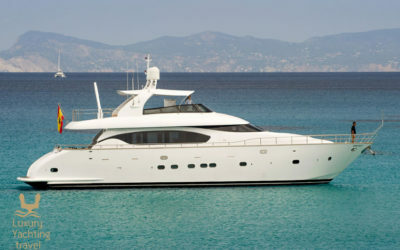 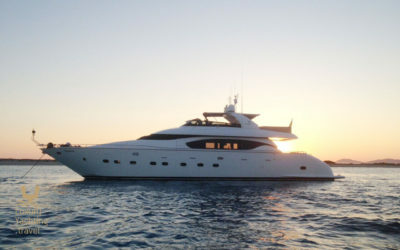 The Shalimar II Motor Yacht cruises around Ibiza. 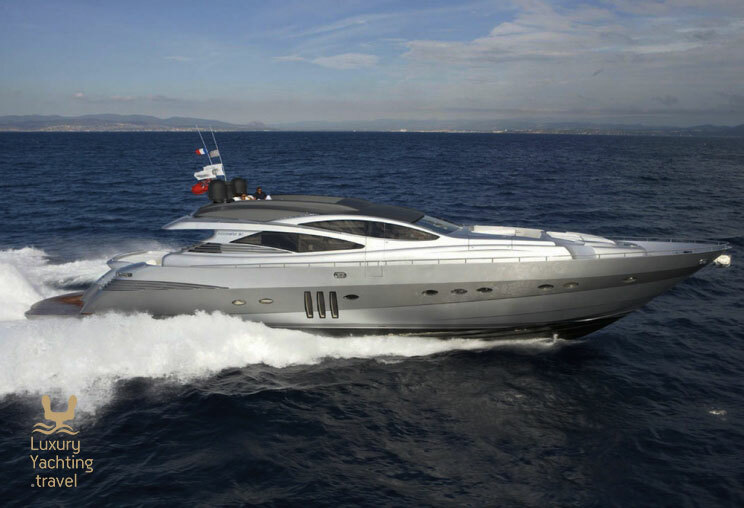 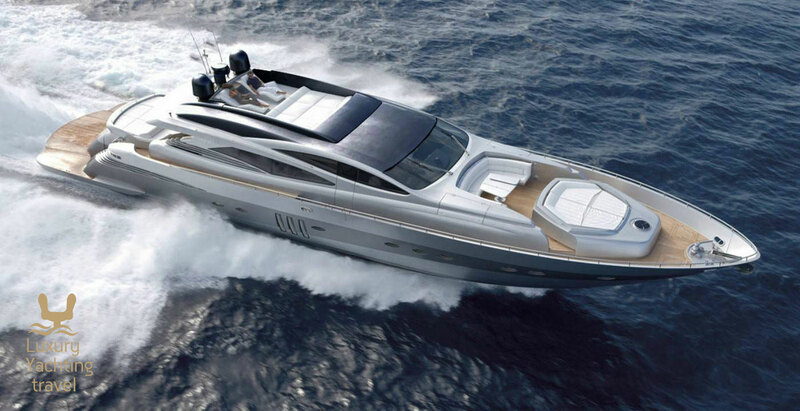 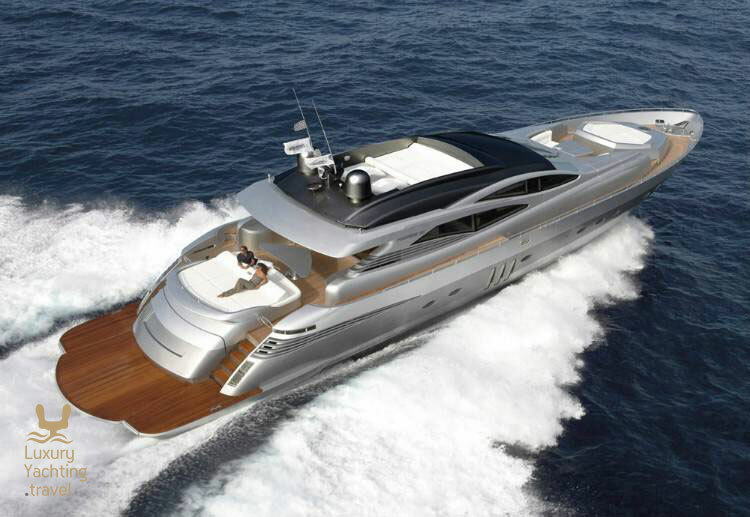 This is the standard Pershing 90 from the shipyard. 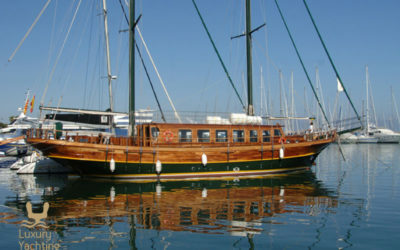 The Salimar II may have different layout and decoration. 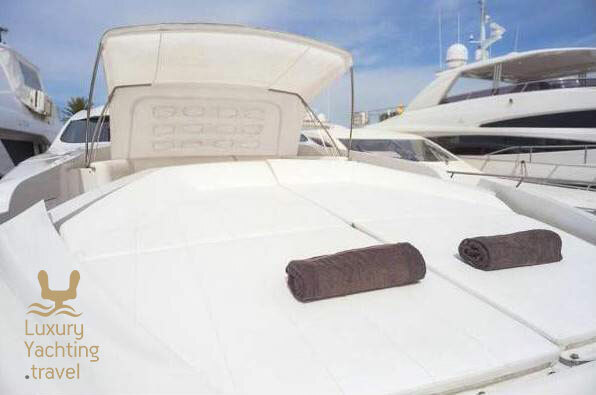 We provide a personal and reliable advise in selecting the best possible luxury yacht for your holidays, events or business activities with strictly private service!